Don’t let your spaghetti noodles stick together. My answer is usually your spaghetti noodles are stuck together. That sounds a little weird, but bear with me. If you stick noodles in a pot and don’t stir them, what happens? They stick together. What if you try to cook the noodles with not enough water? The noodles stay hard, don’t cook or they never soften. Our muscles are made up of bunch of fibers, sorta like spaghetti noodles. Frankly there are a lot if reasons why our muscles get tight. Usually if we don’t stretch our muscles, have a lot of stressors, are not active, poor posture or stay hydrated the muscle fibers will stick together. Just like the spaghetti noodles when we don’t stir them or use enough water. The noodles are a silly analogy for the muscle fibers. But usually everyone knows what spaghetti noodles look like and have a basic premise on how to cook them. So how do you keep your muscle fibers from sticking together. One of the best was is through massage. Massage loosens the muscle fibers so they can move freely. This helps with improving range of motion and relieves tension. I recommend getting a massage a minimum of every three months, once every two weeks is ideal. Just like our car needs a good tune up every so many miles, so do we. Hey, another analogy! Now massage won’t fix every tight muscle if you are not taking care of your body. I will go into more details in another blog post so this article will not take a long detour and get off topic. Mainly staying hydrated, active and general healthy habits along with massage is the one of the best ways to keep our muscle fibers/spaghetti noodles loose and moving freely. The website MassageTherapy.com list some of the many benefits of massage and has links for some clinical studies on massage. I have shared their information and links for resources below. Reduce post surgery adhesion’s and swelling. There’s no denying the power of bodywork. 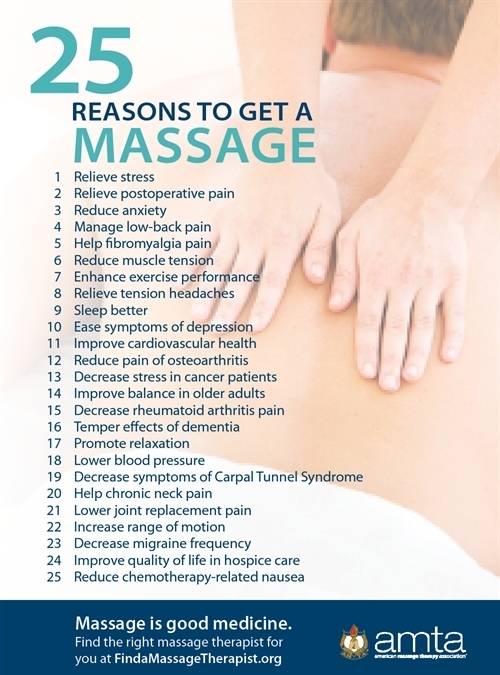 Regardless of the adjectives we assign to it (pampering, rejuvenating, therapeutic) or the reasons we seek it out (a luxurious treat, stress relief, pain management), massage therapy can be a powerful ally in your healthcare regimen. Research continues to show the enormous benefits of touch—which range from treating chronic diseases, neurological disorders, and injuries, to alleviating the tensions of modern lifestyles. Consequently, the medical community is actively embracing bodywork, and massage is becoming an integral part of hospice care and neonatal intensive care units. Many hospitals are also incorporating on-site massage practitioners and even spas to treat post surgery or pain patients as part of the recovery process. Getting a massage can do you a world of good. And getting massage frequently can do even more. This is the beauty of bodywork. Taking part in this form of regularly scheduled self-care can play a huge part in how healthy you’ll be and how youthful you’ll remain with each passing year. Budgeting time and money for bodywork at consistent intervals is truly an investment in your health. And remember: just because massage feels like a pampering treat doesn’t mean it is any less therapeutic. Consider massage appointments a necessary piece of your health and wellness plan, and work with your practitioner to establish a treatment schedule that best meets your needs. Review the clinical research studies examining the benefits of massage. Review massage information from the National Center for Complementary and Alternative Medicine, a division of the National Institutes of Health.